Designed for slow to moderate swing golfers, the new @CobraGolf F-Max Superlite is lighter, longer, and more forgiving. Lighter is faster. Or in this case, “Liter” is faster. 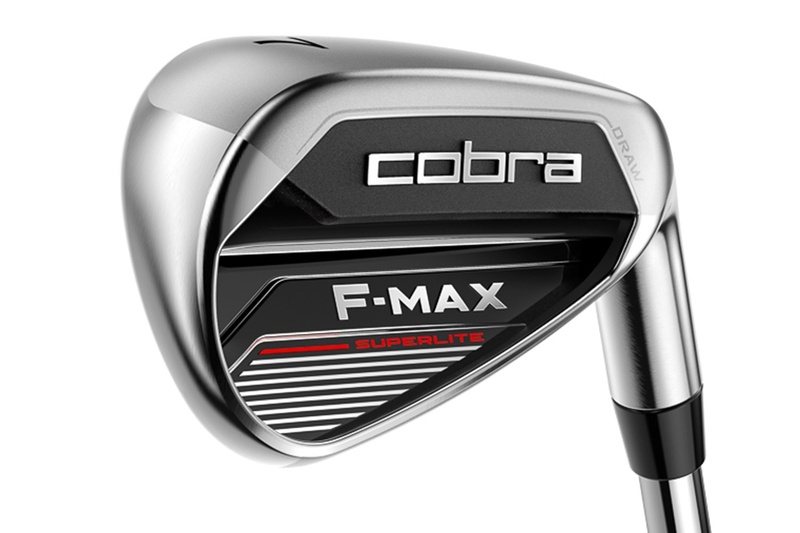 Cobra’s F-Max Superlite family of equipment is engineered to provide moderate swing speed players with an entire line of clubs designed to maximize distance while maintaining stability and forgiveness. The F-Max Superlite series is both strategically trimmed down and purposely beefed up. Here’s the 20,000-foot overview. One way to hit the ball farther is to swing the club faster. When distance is at a premium, so is weight. The F-Max Superlite driver is 18-grams lighter than the original F-Max, making it Cobra’s only sub-300 gram (total weight) offering. Engineers shaved 6 grams from the head, 5 from the shaft, and another 7 from the grip. Interestingly enough, the stock grip is a Midsized Lamkin 360 REL which uses a lighter and softer material to decrease swingweight while the larger size improves comfort. In accordance with the “lite” theme, Cobra nixed any moveable weights or adjustability. As with the last season’s F-Max, SuperLite will be available in both a traditional straight neck and offset version. Both variations have draw-biased internal weighting to help golfers who fight a slice and generally promote a straighter ball flight. Cobra states the heel-toe MOI to be just north of 5000, which certainly qualifies as better than good, especially for the ultralight category where forgiveness often declines with weight. A Forged Titanium E9 face insert helps retain ball seed on off-center strikes and as one might expect. The F-MAX SuperLite Driver is available in 9.5°, 10.5°, and 11.5°. Only the 10.5° is available for lefties. Conceptually, the fairways and hybrids are the same as the drivers, but with the fairways, shafts are slightly heavier (55-gram in stiff and regular flex, and 50-gram in lite flex) and the face trades 6-4 titanium for a high-strength forged 455 stainless steel. Additionally, the shallower profile helps encourage a higher initial launch angle and a straighter flight. Available lofts include 16°, 20° and 23° in right-hand and 16° and 20° in left-hand. The hybrids also utilize a 455 stainless steel construction and feature an offset hosel and draw-biased weighting to help square the face at impact. The men’s F-MAX Superlite Hybrids are available in 3H (19°), 4H (22°), 5H (25°), 6H (28°) and 7H (31°) The women’s F-MAX Superlite Hybrids are available in 4H (23.5o), 5H (26.5 o), 6H (29.5 o) and 7H (32.5 o) in RH/LH in ladies flex. Like the rest of the new lineup, the F-Max Superlite irons are designed to increase launch, ball speed and ultimately distance for players with low to moderate swing speeds. The requisite design features of low/rear CG and high MOI result from the deep undercut cavity. Where the irons deviate slightly (in good way mind you) is the short-irons. Progressive hosel lengths alter the CG (center of gravity) in each iron to tweak ball flight. The long irons are engineered for higher launch while the short irons provide a lower, more controllable trajectory. The face progression (offset) supports the design as it climbs incrementally from very little in the wedges and short irons to quite robust in the long irons. As expected, the set features stronger lofts across the board and specialty gap and sand wedges offer more versatility around the green than is sometimes seen with set matching wedges. Men can go with either the stock, 7-piece (5-GW) set with KBS Superlite steel shafts ($599) or opt for the graphite combo set ($699) which replaces a couple of long irons with two hybrids. The combo set makeup is flex specific. The regular flex option starts with a 4 and 5 hybrid and goes through the pitching wedge whereas the lite flex features and 5 and 6 hybrid and includes 7i-gap wedge. 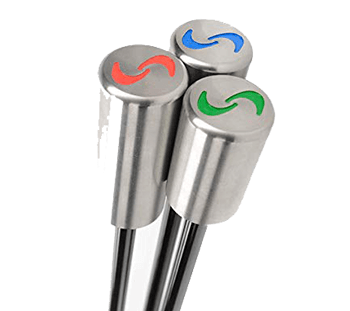 Additionally, there is a custom option for players who prefer graphite shafts but want to pass on the combo set. All variations are available for both righties and lefties. The women’s graphite combo set ($699) includes two hybrids and five irons (5H, 6H, 7-PW, SW) and is paired with a COBRA Superlite 50-gram shaft. It’s available in both right-hand and left-hand versions and features the black/Lexi blue colorway. The term “Boxed Sets” connotes something both inexpensive and of questionable quality. In this regard, the term complete set is far more fitting as golfers who are sold on the concept can still purchase a set en masse and save a couple of hundred bucks. Each set comes with a premium, full feature cart bag, driver, two fairway woods, two hybrids, six irons (6i-PW, SW) and a Cobra blade putter. That said, the choices are somewhat limited. Right-handed men can select from the 11.5° driver in lite flex or the 10.5° driver in regular flex. The rest of the set is pre-determined and comes in a red/black colorway. The ladies (also right-hand only) complete set features a 15° driver, 3-wood, 5-wood, 7-wood, 5-hybrid, 6i-PW, SW and a Cobra mallet putter. It’s available in either black/Lexi blue or white/Purple Cactus colorways. There is an evolving segment which acknowledges the characteristics of the majority of golfers and understands not everyone is moved by $500 drivers and $350 off-the-rack putters. Value-conscious consumers haven’t generally been a focus for major OEMs – though Tour Edge and its Hot Launch discovered this underserved population several product cycles ago. 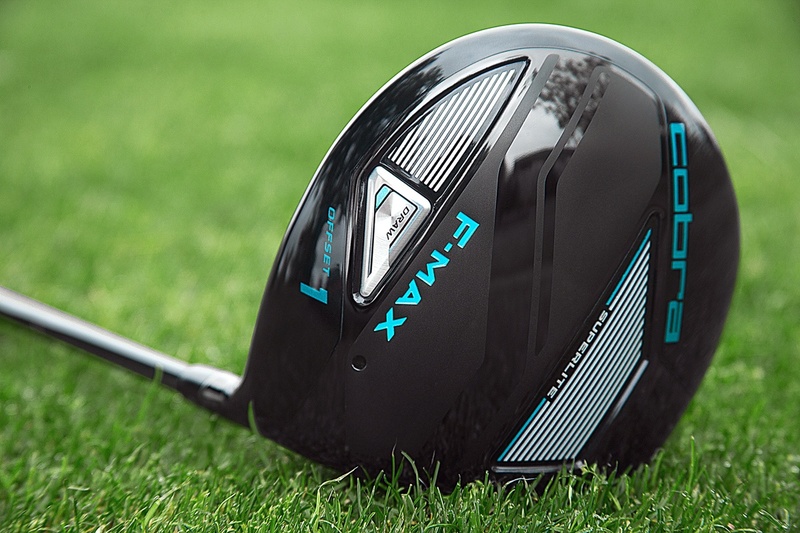 Albeit at a higher price point and slightly different selling strategy, XXIO, is an entire brand dedicated to players of the “moderate” swing speed variety. Call it brand diversification, but as competition continues to increase amongst golf’s biggest names, others have to find new avenues and profit centers to continue to drive the bottom line higher. If the pursuit creates higher-performing equipment as well, then everyone wins. Tom Olsavsky, Vice President of R&D for COBRA Golf states, “We’ve re-engineered Superlite to be our lightest, fastest and most forgiving game improvement clubs ever.” Perhaps true, but for those in the target demographic, do you like what you see? Now if we can get someone who actually bought the complete set, and then review them here. One of my problems is, and is the same with any company,why do sets not include the gap wedge. If you don’t add the gap wedge, isn’t there a gap in lofts. Plus I don’t here anything about a lob wedge. Does f-max have a lob wedge, or do I have to find another company? Are the irons stronger lofted than last years F-Max irons. you mention that in your description, but Cobra Superlight specs on Cobra site shows same loft as last year. 7 iron is 31.5 degrees. 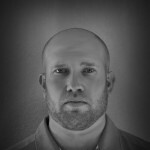 I like the light weight and feel, but for me, I have to hit one more club because they go so high. Much better cosmetics than the earlier Max and incongruously named F-Max. 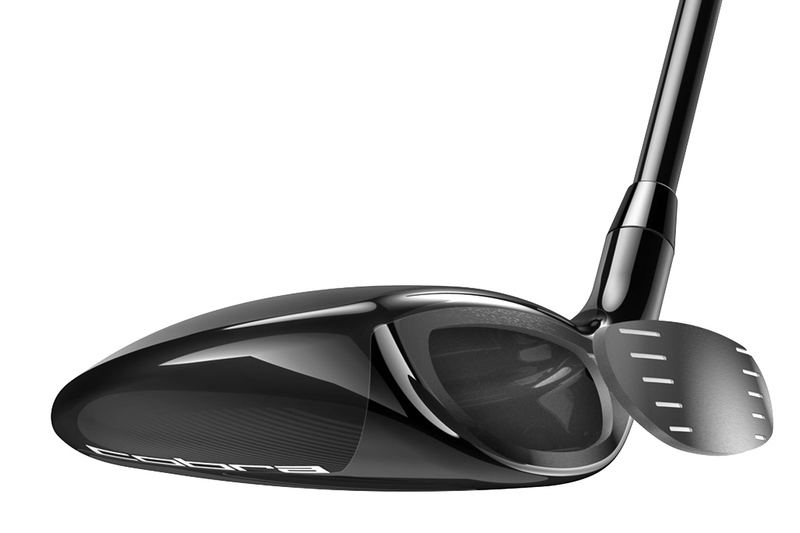 I think Cobra will shift quite a lot of these to the price conscious older golfer. In reality this type of equipment could suit a wide range of players, but far too many are taken in by tour hype. Why spend $500 on the latest tour inspired driver, when you can get something properly fitted with characteristics that would better suit your mid-handicap game for $299? The Cobra Max and F-Max series of drivers are super-forgiving and great for seniors like yours truly. The problem is that in stores, either big box or pro shop, no one pushes these. I know lots of senior golfers with slow swing speeds, and they are often fitted into Cally or TM things that are way too much club. 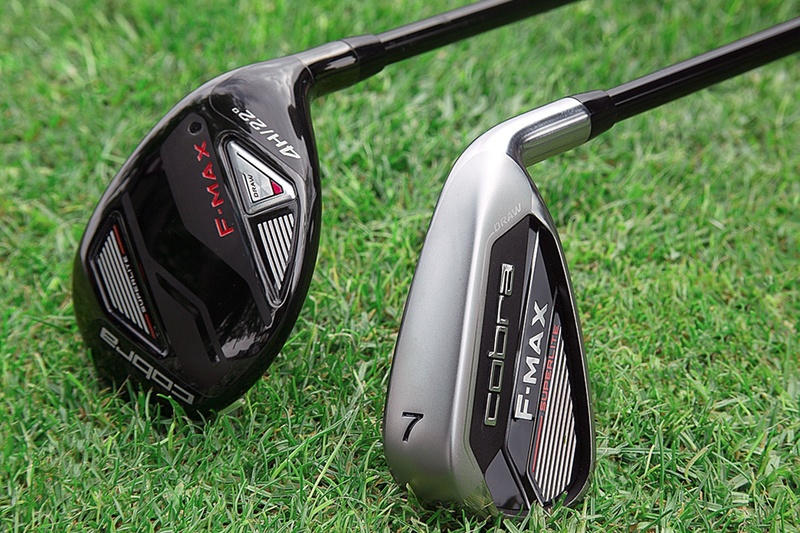 These golfers don’t need adjustability, and clubs like the F-Max would work well…and are cheaper. But, ego wins. How long is the shaft? Many moons ago I bought a Cobra Long Tom and still love it.